'Triangle dance' is the new social media trend that's all the rage now, and this is both good and bad news. It's good news because this brings hope that the world will finally move on from flossing. It's bad news because this is even more complex than the floss dance, and it involves three people (Triangle, duh!). 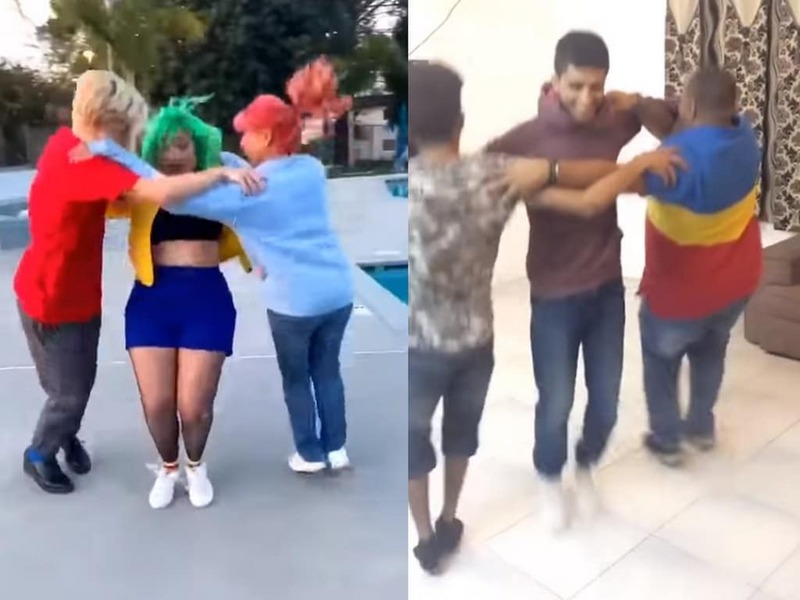 The Triangle Dance needs three people to stand in a huddle and do this very trigonometrically coordinated move so that when each person moves on their front and side, neither of them collide. Believe you me, this may look easy, but when you go at it, be ready for a few head and knee collisions, initially at least. This mesmerizing trend has quickly turned into an online sensation. And for all of you people who are sadists (like me) and are here for the fails, they are pretty much the funniest videos you will watch all week. But where did this come from? As far as I can make out, this move first showed up on a video on TikTok in February 2019, when user Matthew Jones posted a video of three friends doing the dance. That video was set to the song Milkshake by Kelis, and for the first few weeks of the dance's popularity on TikTok, it was known as the "Milkshake Challenge". According to NowThis, the first compilation featuring the dance move was viewed more than 8 million times in just 12 hours — and has since inspired hundreds of copycats.